This very nice 3 bdr. 2 bath of app. 2000 sq. ft. with an office on 1 acre just finished construction in March of this year. 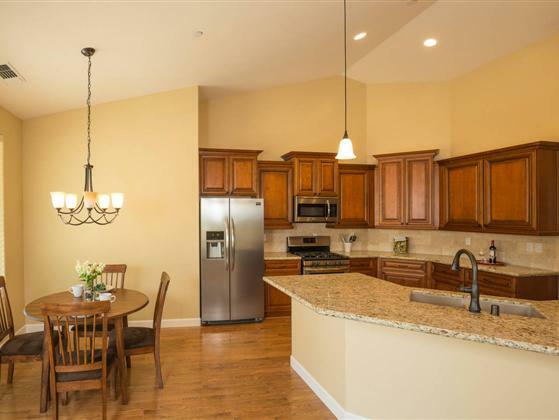 3 car garage, indoor laundry, granite countertops and much more. The beau. master suite with a separate garden tub, shower and walk-in closet is has it's own private wing apart from the other bedrooms. Spacious great room living area with fireplace and wood laminate flooring, well planned kitchen with beau. cabinetry plus a covered patio to enjoy the view from.